Hey dear readers – have you been keeping it real? I know you have! And is it not always the most important thing to keep up with social niceties too? Riiiight? So what are we going to go over this time? I know that you’ve been wondering that since the moment you logged onto the blog, and especially since you saw that the post was titled South Paw, and I will not be disappointing you today. Well, what are we going over then? I write this post for you, because as a lefty, I have always struggled with the constraints of a right dominant world. 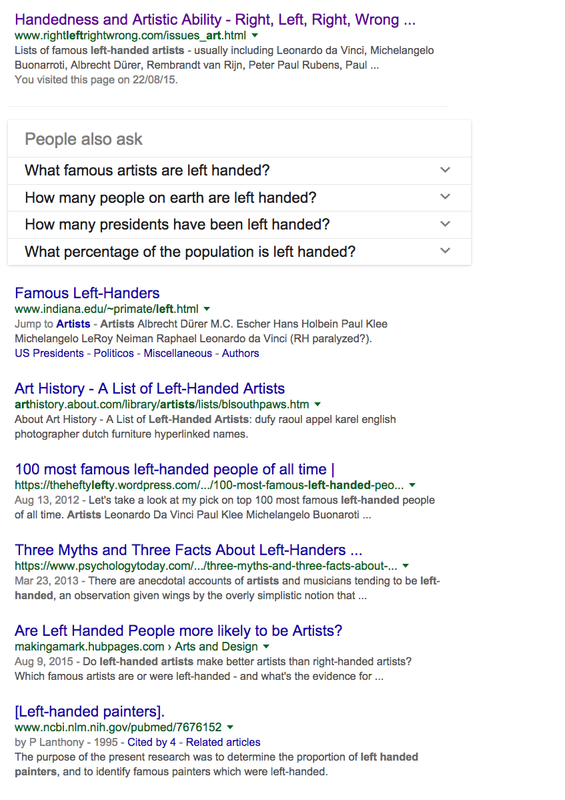 It is just easier to believe that the world is out to get us lefties, rather than accept the more likely idea that everyone is mostly focused on themselves and all of our right-handed interactions and experiences with the OTHER types of people in this world come from their internal frame looking outward and defining which direction ruled paper is set up to face. I swear I am not insecure about this. Quite frankly, we all have our misconceptions about what we are told are “universal truths” and this topic isn’t that far off of that mark either – There is a fair amount of stigma and circumspect content out there which makes up this cultural epidemic of left-handed people being “special” or born for certain purposes. Outsiders like Ralph Macchio get that it is a vicious circle which in fact creates these mistaken identities. A quick google search yields some interesting results too. Granted, I may be making a bigger deal out of this topic than the average person cares to, but this is timotheories.com, not hotcelebgossip.com or amazingavaries.org, and we are all about digital curating at heart here, so I’m gonna write about the arts and art related ideas, and dammit, I’m gonna do it with heart, K? 1. Myth: Left-handers are more introverted, intelligent, and creative. 2. Fact: Left-handers are less likely to be left-hemisphere dominant for language. And one last fun one – left-handers tend to perform better with their right hand than right handers with their left. So if left-handers aren’t more creative, then why do we seem to think that the left hand preference breeds creativity? There are a ridiculous number of accounts and stories which state that the numbers favour artists as being left-handed. Here is another website that gives some more credence to that idea. And I’m sure you’ve heard the idea that the left-hemisphere of the brain operates the right hand and vice versa. Well did you ever hear the idea that the right-hemisphere controls creativity? While not entirely true, it becomes a pretty simple leap to assume that if someone uses their left hand the most, then they use their right brain more, and are more creative. Really, there just isn’t that much science to support the idea. To put it even more simply, as much as I would love to tell you that I am special and that my talent is genetic, it is not true, my interest in the arts is purely one of taste and my collective experiences. With that stated, I’ve covered off this weeks theories. A good thing – because I was getting ready to start making jokes about left-handedness. Question time. Do you have friends or family members that are lefties? Are you one? Are the lefties in your life creative? Leave some comments!